Do you wonder if your answer was read by your customers? Download and install this free module to your WHMCS. 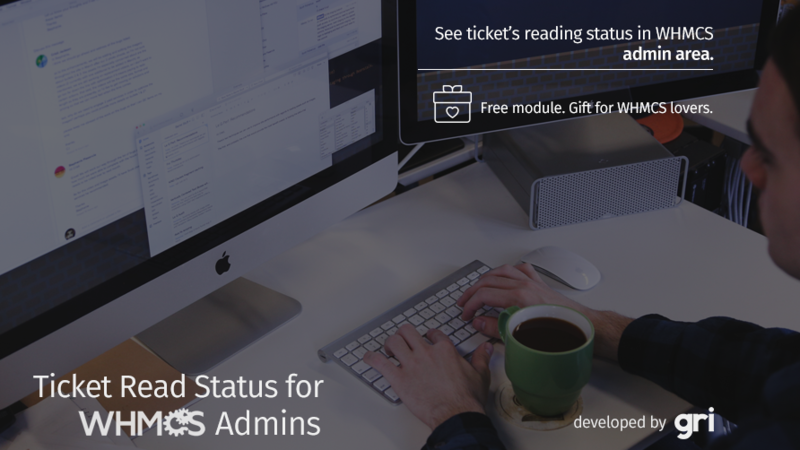 See all ticket's read status in your admin area. It's simple and effective solution. And free. Sometimes, you need edit your offer or ticket reply. And most of the time, this is possible for only unread replies. The module can provide this ease. All licenses can use for only a domain name. Write your domain name and get free license. 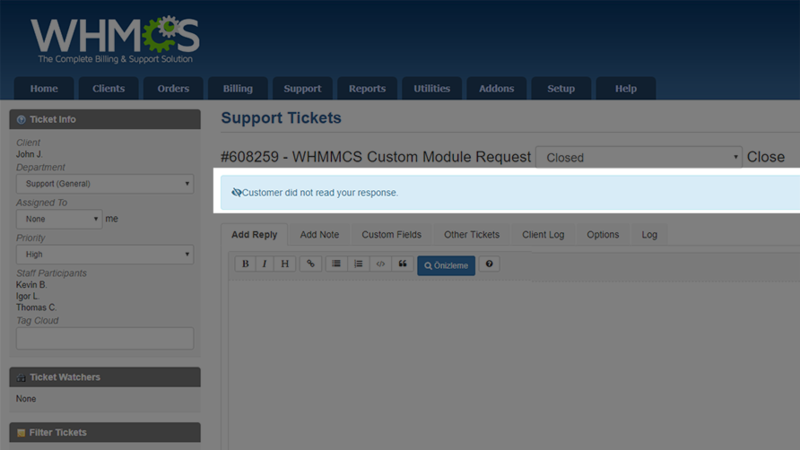 All modules will be updated for new WHMCS versions. We are improving our module's features with your feedback. We are using this module since a month, it's very useful. We needed this module since a long time.